Reel Talk Online: 2013 Summer Action Films: Looking For Social Consciousness In All The Wrong Places? 2013 Summer Action Films: Looking For Social Consciousness In All The Wrong Places? Remember when all we cared about blockbuster action and horror films was that they had the right amount of scary moments and made us say, Oh snap, did you just see that? THAT was awesome!? I do. But lately there's been quite a bit of focus paid to figuring out the deeper meaning behind a blockbuster's plot and how it has somehow failed to offer solutions or a provocative analysis of life or society's problems. You can perhaps blame movies like The Dark Knight that have spoiled us into expecting that every movie--no matter how spectacular its effects--should offer a compelling sociological study. But I wonder whether we are asking too much. There is, however, a recent trend of blockbusters that aim to tackle or theorize some of our most plaguing civic issues. World War Z, The Purge and most recently Elysium all fall under that category. But, while they all made tons of money at the box office and are thrilling to watch, they each suffer from over-extension and thematic desolation. Is it the audience's fault that we are expecting more from them, or is it on account of a poorly executed vision? Or is it misleading marketing? I think it might be a combination of both. 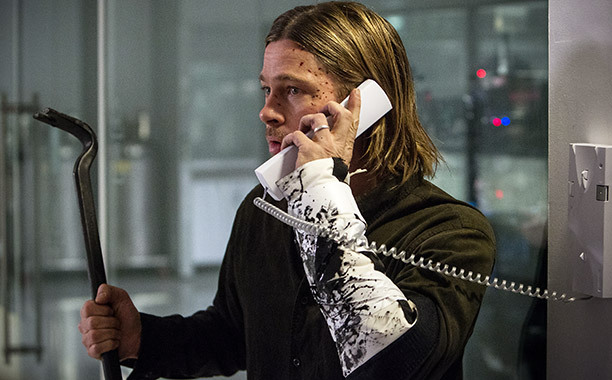 World War Z, a massive undertaking of an adaptation, took the title of Max Brooks' original book and not much else. So fans of the book went in expecting this heavily researched, politically sweeping global tale but received a surprisingly tidy horror film instead. Thrilling, but that story originally explored a fascinating political landscape where zombies were the global antagonists. 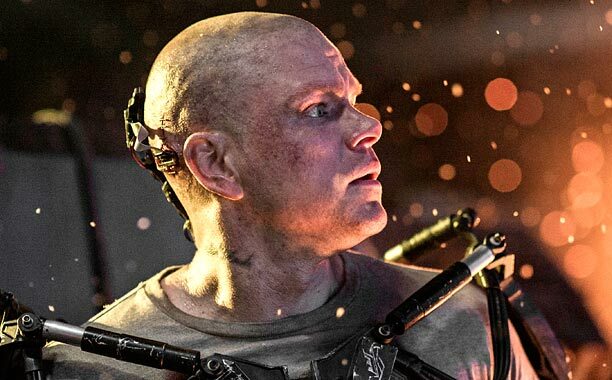 The Purge and Elysium, while not having the advantage of a large reader fanbase, still offered accessible sociopolitical themes that are never fully developed or explored. Again, gripping but ultimately dry. So as summer 2013 winds down, I wonder how the audience's tastes or anticipations will evolve. Will the reception be a lot like the candy-coated Pacific Rim, which offered a lot in terms of effects but little else? While Pacific Rim divided critics and fans alike, it was interesting to see a generally warmer reception for it than there was for the aforementioned films that had so much more potential but suffered with execution. What made it so much different than the others in essentially the same genre? It may all come down to the mood we're in, our expectations and ultimately what we want films to solve or address. As our own political views and concerns continue to morph as the years go by, what will we demand of our movies? Will fantastical escapism cease being enough to quench our desires of film? Sound off below in the comments box. Personally, I try not to take summer popcorn flights too seriously. (Though you are absolutely right that films like The Dark Knight really bring up expectations) I didn't get to see World War Z, but I saw Elysium and I think the film really worked out well. I'd say its faults were more in the way the director chose to shoot things than the story itself. I think you are spot on with The Dark Knight being the cause. Studios are really trying to emulate that model but I think it may have beat people into the ground as well. Like you said it all depends on mood. Although I like films that feature social commentary (when it’s done well), I think that most mainstream American audiences would prefer it not be there, especially in blockbusters. At least that’s the completely unscientific vibe I get when talking to casual moviegoers. I think that’s why some mega-budget, “designed by committee” films pull their punches… you can’t be too politically specific if you want to appeal to the widest possible audience. Not only do filmmakers have to contend with a highly divisive political climate domestically, they now have to be thinking about how themes are going play abroad too. I largely only expect social commentary from the Oct-Dec crowd. However, if it's a film like World War Z or Elysium, then I do judge on how well they fulfill that promise.